I like to think of the steelhead season like a hockey game. It has three periods to the game, that last a total of 6-7 months. 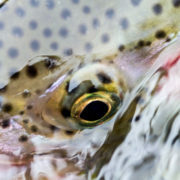 Period one is the Fall-Run, then Winter Steelhead, and the final period is Spring Steelhead. In the first period of this game, the Fall Run we have had some XL sized Steelhead show up. In my personal experience fishing the Manistee River, we had some epic battles with steelhead. These battle would make your cry on one hand, and almost laugh on another. 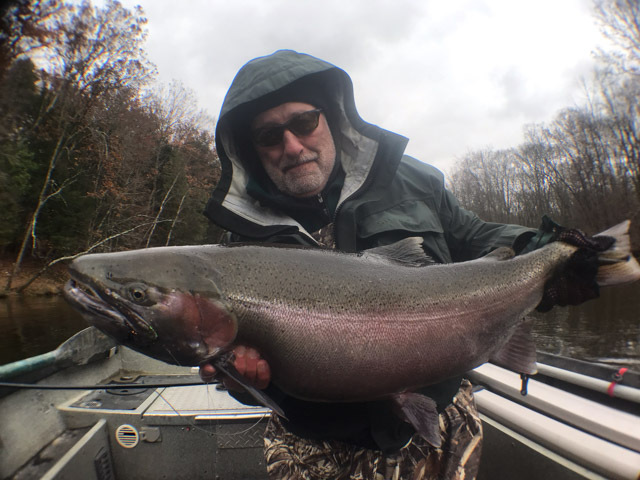 The pure strength , speed, and power of these fish left my anglers helpless, and these XL steelhead finished them off so quickly that we didn’t even know what happened. I relate this too a UFC Fight. Round 1 first 10 sec TKO. 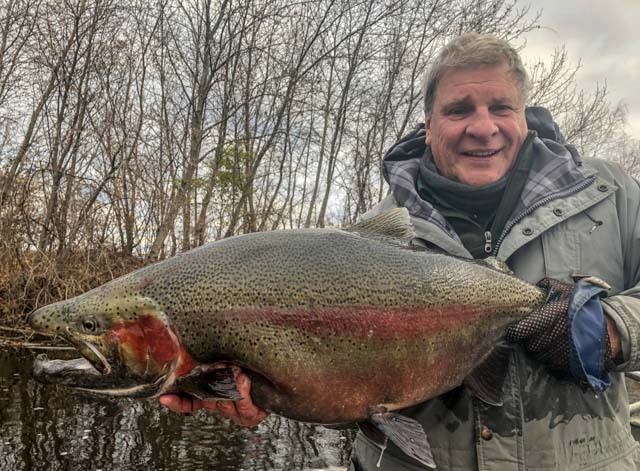 The second fish of XL size was shared by Brad Petzke who guides the Upper Peninsula in Michigan, less is known about this fish as Brad works really hard to find steelhead hot spots so we are going to respect that and provide no additional details. But if your looking to fish the UP you have to give Brad a call. 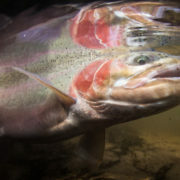 I’m not sure if this steelhead was eating baitfish out of the Great Lakes, or Big Macs at McDonalds. The girth on this fish is very impressive. Great job Brad and thank you for sharing. 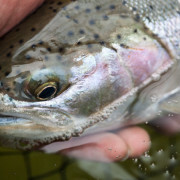 I look forward to the second period as winter steelhead fishing probably provides one of the best opportunities to land a XL Steelhead. With water temps dropping these big Boyz don’t have full speed anymore. Still have plenty of power to pull us all into deep timber but, the best chance to land a XL is starting now. Stay tuned hopefully for more XL Steelhead pics to come.